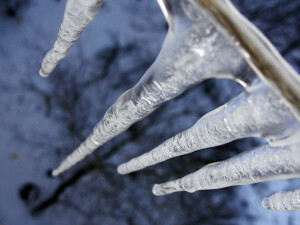 Frozen pipes cause some of the most common and costliest cold weather claims. While most frequently occurring in the Northeast and Midwest, frozen pipes happen across the country and average about $18,000 per claim. Past vortex freezes have caused losses in the hundreds of thousands of dollars, and occasionally in excess of several millions of dollars. □ Make sure heat is on especially in remote areas of the facility; monitor facility especially at night and over weekends; shut off water supplies especially in low-temperature prone areas. □ Provide adequate heat (40 degrees F) for dry-pipe valve rooms, pump rooms, and water tanks. □ Inspect gutters, drains, downspouts, and scuppers. Consider putting heat tracing in downspouts and gutters to keep them clear of ice. □ Determine a safe snow depth for each roof. Arrange for snow removal to start when accumulated snow reaches half this depth. □ Ensure your snow removal plan includes roofs, skylights, canopies, and overhangs. □ Monitor products in unheated areas subject to freezing. □ Survey buildings and equipment to find insulation and heat tracing deficiencies. □ Check for unwanted outside air; look for vents and openings in windows walls, roofs, or floors. □ Provide areas subject to freezing with non-freeze fire extinguishers (dry chemical, carbon dioxide). □ Keep your maintenance records in the event that you ever need to prove that you have kept up with all maintenance requirements.